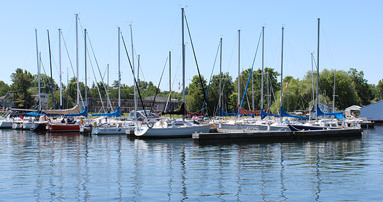 The Lake Simcoe Region Conservation Authority (LSRCA) advises that the water level in Lake Simcoe is now approximately 15 centimetres higher than the normal level for this time of year. If levels continue to rise, there may be additional flooding of low-lying lands adjacent to the lake. Residents are reminded to keep pets and children away from rivers and streams. As a result of the recent ice storm, The Town will provide a special collection day on Monday, April 4 to pick up yard waste across all collection zones. Please use environmentally friendly kraft paper bags or containers clearly labeled as ‘Yard Waste’. Tree and shrub clippings should be tied with string and bundled. The maximum diameter of the tied bundles and shrub clippings is 60 centimetres (24 inches) and 90 centimetres (36 inches) in length. Bundles or bags should not exceed 22 kilograms (50 pounds) in weight. In addition to periods of heavy rainfall, Environment Canada has issued a special weather statement for Georgina and Northern York Region that is calling for high winds today with occasional wind gusts of up to 80 km/h expected. This will create an increased hazard as there are many damaged trees and limbs from last week’s ice storm. The Georgina Fire Department reminds residents to stay clear of down power lines, as well as affected trees and surrounding forestry canopy. The Lake Simcoe Region Conservation Authority advises that the Weather Office is forecasting that rainfall amounts in the range of 25 to 50 millimeters are predicted within the watershed on Sunday evening through Monday afternoon. Ice Storm Update - 9:30 p.m.
As power begins to be restored across town, Georgina is winding down the temporary warming shelter for the night. Staff will continue to clear Town roads and sidewalks of ice and debris throughout the weekend. Residents are reminded to stay clear of downed power lines and to watch for falling ice and tree limbs. For homes and businesses still without power, please make sure that you turn off any major appliances such as electric ranges and stove tops as these could pose a potential fire hazard when the power comes back on. Be aware of CO dangers during power outage! The Georgina Fire Department would like to remind residents to take care when operating back-up generators and barbecues especially for people who are continuing to experience power outages due to the ice storm. NEVER use a barbecue inside your home or garage, or you could put you and your family at serious risk of Carbon Monoxide (CO) poisoning! NEVER operate a generator inside your home, basement or garage or you could put you and your family at serious risk of Carbon Monoxide (CO) poisoning! Enviornment Canada is calling for brisk winds today with potentially significant impacts on power outages due to falling limbs and trees. The major ice storm which ravaged many parts of Southern Ontario with substantial ice accumulations has essentially ended. Georgina Town staff are busy dealing with the aftermath of the ice storm. Please stay away from downed wires and be careful and watch for tree branches that may fall due the weight of the ice. We will provide updates throughout the day as necessary. 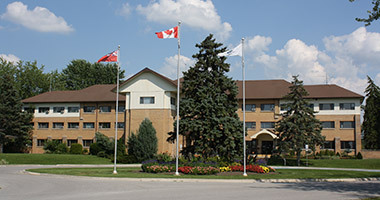 TAKE NOTICE that the Corporation of the Town of Georgina Council will be considering revisions to By-law 2004-0131 (FI-4) and By-law 2013-0037 being by-laws to establish Fire and Emergency Services fees for the Town at its meeting scheduled for Wednesday, April 20, 2016 commencing at 7 p.m. in the Council Chambers at the Town of Georgina Civic Centre, 26557 Civic Centre Road, Keswick. Please be advised that The Georgina Leisure Pool will be CLOSED for maintenance from Tuesday, March 29 to Sunday, April 3. Regular programming will commence on Monday, April 4. We pride ourselves in providing excellent customer service and regret any inconvenience this may cause. On behalf of the Town of Georgina, we would like to thank you for your patience during this time.